Meeting of the Ontario Nonprofit Data Strategy Working Group, co-lead by the Ontario Nonprofit Network and Powered By Data. This gathering is being coordinated by ONN, including both the agenda and attendees and is by invitation only. How can a story tell us what we need to know about the value of the work we do and understand the impact of the resources we've committed? Join us for a day to explore evaluation and reflection through personal narrative by making a One Photo Digital Story. This hands-on workshop is facilitated by the team at Community Story Strategies and is being offered free of charge for 10 CKX Summit Participants. Each person will bring a photo, and learn to create a two- to three-minute digital story using that image, and personal narrative. The workshop begins with a story circle, where everyone can share their stories and get support to shape their story into a script. In the afternoon, you will record audio and learn to use video editing software. The day ends with a screening and celebration of the stories that have been produced in the workshop. CKX Thematic Questions How do we use stories to demonstrate our impact? There are more than 25 groups across Canada who harvest & share the bounty of urban trees. This community of interest gathering will be the first time that many of these groups east of the prairies have sat down together and met face-to-face. Our full day workshop will focus on building momentum towards a larger support structure for such organizations with the goal of identifying a few common tools & shared resources which could help our local work and achieve a greater collective impact. This gathering is being coordinated by Not Far From the Tree, Hidden Harvest Ottawa and the Halton Fruit Tree Project including both the agenda and attendees. Hidden Harvest Ottawa seeks to create a food-tree friendly city by picking and sharing fruit and planting more trees. We're using 'big data' to optimize urban applesauce production, tree seedlings to teach Food Sovereignty and Agroecology to feed our neighbours in need. I'm the Founder & Director of Not Far From The Tree, Toronto's very own fruit picking and sharing project. I'm a passionate environmentalist, a parent of two young kids, and a maritimer who has found a nice spot to perch in the urban orchard of Toronto. Studio Y, an initiative at MaRS Discovery District in Toronto, is hosting a full-day national gathering of groups and organizations focused on Canada's developing young leaders and innovators. Participants include Engineers Without Borders, City Studio, Next Up, Loran Scholars and more. This gathering will be a first of its kind, a chance for these programs to meet, learn from one another, and explore possibilities for collaboration and collective impact. This gathering is being coordinated by Studio Y, including both the agenda and attendees and is by invitation only. This session is taking place in THE LAB, located on the 4th Floor of the TIFF Bell Lightbox. This floor is accessible by elevator only. Please take the elevator from the main, second or third floors up to the 4th floor. Meeting of the Community Foundations of Canada Vital Signs Task Force. This gathering is being coordinated by Community Foundations of Canada, including both the agenda and attendees and is by invitation only. Swing by the HUB@CKX located in the TIFF Lounge on the second floor of the TIFF Bell Lighbox to pick up your CKX All-Access Pass and Passport, grab a coffee, tea or snack and meet up with the CKX crew. We'll be around all afternoon from 12 to 5 pm on Wednesday before heading on over to the CKX Opener at the CBC Broadcast Centre. Note: This meeting is by invitation only. Taking place in the iconic Barbara Frum Atrium at the CBC Broadcast Centre, the CKX Opener will be your first opportunity to meet and mingle with your fellow CKX participants. Presented by TD Bank Group, the CKX Opener will include a cash bar and tapas-style appetizer stations. You’ll also get a taste of what to expect at CKX with several interactive installations located throughout the Atrium. Please use the CBC Broadcast Centre's Front Street Entrance when you join us for the CKX Opener. A CKX Check-in Zone will be open from 6 to 8 pm in the Atrium Lobby. If you haven't picked up your CKX All-Access Pass at the HUB@CKX beforehand, we'll have it waiting for you when you arrive. The Canadian Index of Wellbeing (@CIWNetwork) is a tool that measures what matters to Canadians – tracking wellbeing from year to year in specific areas that matter: our standard of living, our health, the quality of our environment, our education and skill levels, the way we use our time, the vitality of our communities, our participation in the democratic process, and the state of our leisure and culture. With the help of Health Nexus (@Health_Nexus), we’ll be using the CIW for an additional intentional purpose: to map the connections and relationships between participants, organizations and communities represented at CKX. Throughout CKX, you’ll be invited to participate in this interactive network-mapping installation. Which of the domains relate to your work, interests and passion? Be sure and stop by and see who else has added their name to the installation and explore the digital CKX network map that Health Nexus will help us co-create using kumu, a web-based visualization platform. Our communities are facing complex challenges. Whether in areas such as housing, food security, youth employment or other areas, there are no silver bullets and no easy answers. Our capacity to solve these challenges is present, and is even stronger than ever. Only no single individual, group, organization or government can claim to have all the pieces required to solve these complex social challenges, but they can all contribute something. What is needed is to connect, assemble and test the pieces that together can help bring the solution. This is exactly what social innovation labs do. In this opening plenary, Joeri van den Steenhoven, Director of the MaRS Solutions Lab, will share his perspectives on the challenges communities face today and tomorrow, and why we need to think about systems change. He will show how labs work and how community knowledge - in its many forms - can and must be assembled, adapted and reconfigured to bring about the change we want in our communities. This session is in a cinema. Please plan on arriving by 8:45 am to help us ensure a prompt start. So you want to change the world. Where do you start? How about with a map. A systems map, actually. Systems mapping helps us build shared understanding about public and social challenges using our diverse knowledge, experiences and perspectives. The process facilitates a constructive dialogue about where we can intervene to bring about systems change. The systems map’s visual representation of underlying complexity, interdependencies and uncertainties helps us identify insights in ways that would not have been possible from single perspectives or even from a summary of all perspectives. In this session, you will learn how to build shared understanding of the complexity of a particular challenge, and identify insights that will help you develop effective interventions. We will work in groups to develop Systems Maps for each CKX Solutions Lab challenge area (Housing, Food Security and Youth Employment) and identify intervention points that can help bring about systems change. Housing: Evergreen CityWorks, an initiative of Evergreen that is exploring solutions to smart city building, including affordable, sustainable housing solutions. Food Security: The Stop, a community food centre that strives to increase access to healthy food in a manner that maintains dignity, builds health and community, and challenges inequality. Youth Employment: Engage Learning, an organization that uses technology to develop training, communication and performance support for a number of applications. For each of the CKX Solutions Lab sessions, participants will apply one PSILab (Public and Social Innovation Labs) process or tool in a hands-on exploration of three complex community challenges: Housing, Food Security and Youth Employment. Participants may choose to attend these CKX Solutions Lab sessions because they are interested in working with a specific PSILab process or tool, are engaged in one or more of the specific challenge areas, or both. Since 2003, University of the Streets Café has organized nearly 400 public conversations. Each week, we transform cafés, community centres, and libraries into temporary learning spaces where everyone is both a teacher and learner. Our two-hour events encourage participants of all ages, backgrounds, and levels of education to build and share knowledge around a particular theme. This workshop explores the public conversation methodology and its relation to community knowledge. After a quick review of the history and philosophy of University of the Streets Café, participants will be immersed in topics from past conversations and given the opportunity to reflect on both the content and process. Then, the workshop will prompt participants to imagine a conversation they might organize in their respective communities and provide them with the resources to begin this process. CKX Thematic Questions How can we use research to make more informed decisions?, How do we use stories to demonstrate our impact? It is rare for new ideas and insights to turn into successful programs on the first try. Even tested approaches don't always go as planned. Failure happens. The question is: How do we fail intelligently? How do we create space for innovation, build resilience, and harness the productive potential of our failures? In this session, participants will explore what intelligent failure means in their context, participate in hands-on, interactive activities and engage and learn with peers to discover easy ways to apply intelligent failure practices that align with organizational needs. Participants will walk away with tangible skills, insights and actions that help them, and their organizations, fail better. The free and open exchange of knowledge empowers people, promotes accountability and sparks creativity. However, publishing and using data for social good can sometimes have the opposite result: cautionary tales are shared in corridors and back channels about open data projects that empowered the powerful, endangered the powerless, and generally made things worse while honestly trying to help. This session will present real life stories from the Dark Side of Data, and provide a conversation space for all those who wish to share their experiences of community data snafus, ranging from hilarious to perilous, with the goal of transparently learning from our failures, and empowering new projects with roadmaps on how to open and share responsibly. CKX would like to recognize and thank Serendip (@SerendipAdvisor) for their generous support in bringing this session and the Engine Room team to the CKX Summit. Kristin has a background in computer science, human rights and building online communities-of-practice. With the engine room, she is creating opportunities for practitioners to learn, share and build with their peers. Tin has a background in communication studies, web development, and interface design, and he works to simplify the relationship between technology, data, and human beings. CKX Thematic Questions How can we turn existing data into knowledge to drive change? Fear often prevents us from speaking up for a cause we believe in or sharing our story. This interactive workshop gives you the space to find and speak your voice through spoken word poetry, and explore ways you can effect change in your communities. You’ll learn tools to write and express yourself, and have the opportunity to share your stories and ideas out loud with the group. Our voices and stories can have a great impact when we’re willing to step out of our comfort zone. We all have a beautiful story to tell. What’s yours? Do you know what your community really looks like? What are the issues, challenges facing its neighbourhoods and its citizens? While no one individual, organization or group has all of the answers, it is possible to build a more accurate picture of your community, together. Using the Cities of Hamilton and Ottawa as case studies, Abigale Payne of McMaster University will explore how you can build better community knowledge using existing data and information. You’ll discover examples of existing data sources, discuss issues around privacy and data security, and see how data on charities, services and communities in Hamilton are putting the power of community knowledge to work. I am a researcher that focuses on using data to understand issues related to charitable giving, charity operations, how charities affect communities, student performance, and student development. My training is in economics and law. CKX Thematic Questions How can we turn existing data into knowledge to drive change?, How can we use research to make more informed decisions? Dunbar’s Number is a theory that people can only manage meaningful relationships with about 150 people at any one time. Join PwC's Corporate Responsibility team at the PwC CKX150 Networking Lunch as we put that theory to the test in real time at CKX. This is more than just a great lunch. It's a chance to have great conversations and make great connections with other CKX participants - to share what you're up to, what you've learned and what you're going to do next. We recommend purchasing tickets for the PwC CKX150 Networking Lunch in advance of CKX, as this exclusive event is sure to sell out. PwC Canada helps organizations and individuals create the value they’re looking for. More than 5,700 partners and staff in offices across the country are committed to delivering quality in assurance, tax, consulting and deals services. PwC Canada is a member of the PwC network of firms with more than 184,000 people in 157 countries. The PwC CKX150 Networking Lunch is optional, with participants also having the choice of stepping out into the neighbourhood for lunch at a selection of restaurants and other establishments in the Entertainment District. Do you have doubts, concerns about how sensitive data is used in your projects? Do you have that gut feeling that something is not quite right, but don?t know how to deal with it, or even where to start? can help you and your organization navigate the perilous straits of Responsible Data for social good. Have you considered who you’re actually thinking about when designing and implementing a solution to a challenge? Many existing products and services in public and social systems are often designed to fit the the institutions and the providers, but what about the end users? Design thinking begins with the context and needs of the end user in mind. Prototyping allows us to iteratively learn by doing - an essential approach for solving complex challenges where there are no straight-forward or proven answers. In this session, we will design and prototype interventions for users in three challenge areas (Housing, Food Security and Youth Employment) using tools adapted from IDEO.org and Nesta (UK). You’ll have a quick hands-on learning experience in designing and prototyping interventions for the three challenges areas, working from the intervention points identified in previous CKX Solutions Lab sessions. Participation in previous CKX Solutions Lab sessions is not a pre-requisite to attend this session. Join Jake Hirsch-Allen (Partner, Functional Imperative & Lighthouse Labs) Michael Lenczner (CEO, Ajah and Director, Powered By Data) and Gena Rotstein (CEO and Advisor in Philanthropy - Dexterity Ventures Inc./Place2Give) for an interactive showcase that will answer this question and unpack the benefits of Open Philanthropy for grantmakers, community organizations and donors. Bonus for session participants: Powered By Data will be launching a free new online tool codenamed Project Scryer at this session. Be sure to join us and you’ll be among the first to put it to use as we work to bust open Fort Philanthropy for good. CKX Thematic Questions How can we turn existing data into knowledge to drive change?, How do we know we're making a difference together? We often talk about data-driven decision-making. But sometimes in our quest to understand the data, we forget that behind every plot on the graph, bar on the chart, or statistic on the spreadsheet there’s a person or place, and a story to be told. From Calgary, we’ll learn how the Calgary Foundation is using Vital Signs and is developing a Community Knowledge Centre to tell the story of the issues affecting Calgarians and the organizations and community groups addressing them. From Winnipeg, we’ll learn how Peg, a collaboration between United Way Winnipeg and the International Institute for Sustainable Development is measuring the health of the community year over year. From Ottawa, we’ll learn how the Ottawa Neighbourhood Study is better defining Ottawa neighbourhoods while investigating the relationships between geography and community outcomes. Bring your questions and perspectives. We look forward to an engaging conversation. This session is taking place in THE LAB, located on the 4th Floor of the TIFF Bell Lightbox. This floor is accessible by elevator only. Please take the elevator from the main, second or third floors up to the fourth floor. When data, best practice information and front-line community knowledge are shared, rich ideas emerge, opportunities arise, and focused planning for impact begins. Setting the stage for diverse community players to engage in a collective approach requires trusted relationships built over time, skilled network weaving, and a safe, accessible social space for knowledge-sharing. Niagara Connects is a region-wide network of people for collaboration, planning, learning, innovation and community action for a stronger future; they are pioneering a community-built model for Knowledge Exchange. In developing the Niagara Knowledge Exchange (NKE) tool, they have learned valuable lessons about what ‘sticks’! Join this vibrant, interactive session to take a guided tour of the NKE, learn about the role of Knowledge Brokers in making it work, and gather practical ideas for translating evidence into community action. How do we know the effect of our policies, programs and investments? By measuring it. We’re not always very good at it, we haven’t been doing it for long enough, or in enough fields, or with enough collaborations, but we’re getting better and more excited and there’s a whole lot going on in this space right now. In this presentation, Emma Tomkinson, a social impact analyst from Sydney, Australia, will showcase examples of collaborative work in social impact measurement from around the globe. Bring your passport and be ready to explore what’s new, what’s working, and what’s next for the world of social impact measurement. Evaluation doesn’t always mean ticking boxes on a spreadsheet or mapping outcomes and outputs on a form. The team at Community Story Strategies knows that a good story can be a powerful way to share, demonstrate and evaluate the impact of your work. Come check out the One Photo. One Story. Film Fest to learn more about the evaluative power of storytelling and to screen a selection of One Photo Digital Stories created by CKX participants in the One Photo. One Story. pre-CKX workshop. Popcorn is on the house. Does your organization plow ahead with research and evaluation with some trepidation around ethical considerations? Do you worry about how your research may affect participants? Are you unclear about where you can get support to address your research ethics concerns? The Community Research Ethics Office (CREO) is here to help. Established in Kitchener, Ontario with the support of the Centre for Community Based Research and the Ontario Trillium Foundation, CREO’s mandate is to support researchers and organizations that do not have access to institutional Research Ethics Boards in undertaking community based research (CBR). Facilitate a discussion on specific ethical dilemmas participants have faced or may encounter in undertaking community based research. We ask participants to come with their own specific examples of ethical questions they have faced or are currently contemplating. Theron and Ayesha Umme-Jihad (CREO Coordinator) will be facilitating a workshop on Thursday, November 20, 2:45 - 4:15 PM, which will explore what ethical issues participants are facing in undertaking community based research. CKX Thematic Questions How can we use research to make more informed decisions? How do you measure what matters in your community? Rather than starting from scratch, one approach that’s gaining traction is using shared impact measurement tools like the Canadian Index of Wellbeing. Hang on a second. What’s the Canadian Index of Wellbeing? First and foremost, the CIW is a big idea that regards wellbeing as encompassing a wide variety of aspects of life, beyond economic measures like Gross Domestic Product (GDP). It’s also a tool that is measuring what matters to Canadians. It tracks wellbeing from year to year in an effort to offer clear, effective, and regular information on the quality of life of all Canadians. After the rapid-fire overview, you’ll have a chance to take a bit of a deeper dive in a series of group discussions led by our presenters as we unpack the challenges of measuring impact and the potential benefits of shared or common measurement frameworks like the Canadian Index of Wellbeing. Wellbeing Toronto is a dynamic map visualization tool that helps evaluate community wellbeing across Toronto's 140 neighbourhoods on a number of factors including as crime, transportation and housing. It’s used by decision-makers that need data to support neighbourhood level planning, residents that want information to better understand the communities they live, work, and play in; and businesses needing indicators to learn more about their customers. But it’s more than just a map. 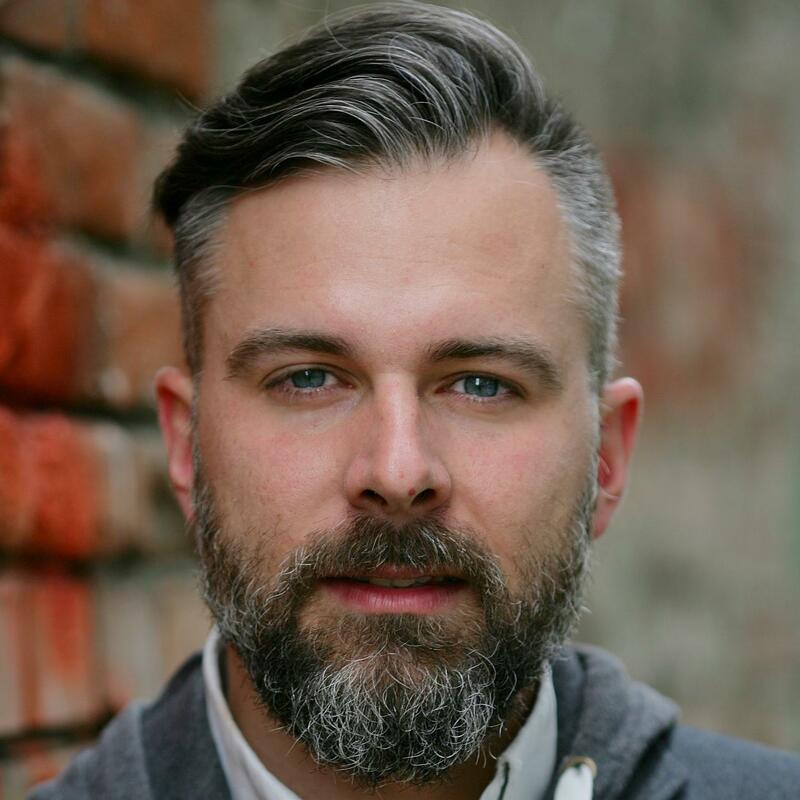 In this session, Wellbeing Toronto Project Manager Mat Krepicz will take you on a tour of Wellbeing Toronto and share candid insights on its development including key lessons learned, mistakes made, and preview what’s next for one of Canada’s most robust community indicator platforms. Are you frustrated by the seemingly endless cycle of pilot projects or niche initiatives that don’t scale their impact more broadly? To bring about systems change, we need to have viable business models for the foreseeable lifespan of our actions and interventions. This crucial stage is often the difference between successful systems change, failure or worse - a never ending series of pilot projects. In this session, we’ll build on our work so far in the CKX Solutions Lab in our three challenge areas (Housing, Food Security and Youth Employement) and learn about tools that can help develop viable business models that can scale and bring about systems change. Exhaust data is data that is otherwise discarded or overlooked because its use isn't immediately apparent. But what if we could use this tossed-away or apparently junk data in some way to improve our communities? Google Canada invites you to stop data-idling and join this jam session where we'll drill into the layers of data available to community organizers, leaders and municipal authorities. What data is available, and how can we use it to address fundamental social policy challenges? How can we move beyond pilot projects and cool apps to produce data-based decision frameworks and useful tools for citizens? CKX Thematic Questions How can we turn existing data into knowledge to drive change?, How can we use research to make more informed decisions?, How do we know we're making a difference together? What if there could be a real-time index that pulled giving data - from Timeraiser volunteer hours to United Way contributions to Startup Canada mentorship hours – together? Canada has yet to develop an open, analytics-based, and active generosity index, akin to the stock ticker for the financial markets. As such, sector leaders and practitioners are unable to effectively read health of giving, simulate for the future, attribute impact, and make data-driven decisions together to move the needle forward on giving in Canada. The World Giving Index and the Canadian Index of Well-being serve as helpful launch points. A real-time analytics-based index could expand upon and complement existing indices and offer Canada the ability to respond quickly to changes in generosity. It could also offer deeper knowledge with which to move the needle and could build diverse and shared stories about giving. More broadly, it could expand our collective understanding of how generosity takes place in Canada. At CKX the Rideau Hall Foundation will gather great minds and expertise from across the country in the community knowledge ecosystem. CKX presents an incredible platform to further explore the concept of a generosity index for Canada. This session will bring together 30 participants to collectively imagine the potential of a generosity index in moving the needle on giving in Canada. The ideas and thoughts gathered from this session will be used to catalyze further conversations and explorations on the potential, feasibility and utility of a generosity index for Canada. What if there could be a real-time index for everybody? What is the merit in a generosity index for Canada? What could a generosity index mean for your organization, and for your sector? What are the gaps in the data currently available? What are the synergies with existing indices (Canadian Index of Well-being and World Giving Index) and other research-based initiatives? Jamie is part of the Mowat NFP research hub at the Mowat Centre. Her work focuses on how to modernize the relationship between the NFP sector and government. Her current project focuses on the open data opportunity for not-for-profits. The Government of Canada, through the International Development Research Centre and other partners, will host the 3rd International Open Data Conference (IODC) in Ottawa from May 27-29, 2015. This conference will gather national and international experts to discuss and share best practices about the future challenges and opportunities of open data. This conference plans to focus on issues that matter to the open data community in Canada and around the world, and the best way to do this is to get input from open data communities like CKX. The conference organizers want your help in setting the agenda and designing the program for the IODC and will host this Jam Session focusing on some of the key themes of the upcoming conference: What are the top issues and concerns among Canadian open data users? How can Canadian jurisdictions work better together to build a truly pan-Canadian open data community? What are the challenges and opportunities of partnering with open data efforts in developing countries? How can Canada show leadership in open data? Join some of the organizers of the IODC and contribute your voice to shaping this international event! This session is taking place in the BRENDAN CALDER BOARD ROOM, located on the 5th Floor of the TIFF Bell Lightbox. This floor is accessible by key-card elevator access only. Please take the elevator from the main, second or third floors up to the fifth floor. A CKXpert will be available in each elevator to provide access to the 5th floor. How can open data and traditional knowledge be combined to feed communities? There is a huge opportunity to rescue the bounty of fruits and nuts which grow throughout Canadian cities and towns. Can a small army of foragers armed with smart phones and open data tree inventories harvest more food than a traditional apple farmer? We are getting close to finding out. Join us to dig down to the roots of food waste in Canada as we look specifically at the fresh fruit & nuts that are growing on trees which are hiding in plain site. The concepts of gleaning, foraging and urban agriculture have recently been gaining a lot of momentum. Building a sustainable revenue model to fund such initiatives, however, is challenging in an environment where imperfect fruits are not valued as nutritious food unless they have been processed or prepared in an attractive fashion. In this session we will discuss the realities of food production today, share some successes stories from fruit tree harvesting groups and work together to explore solutions to some of the biggest challenges when it comes to branching out and making good use of the food nature provides. “Innovative, creative, adaptable, and resilient” define Canada’s nonprofits and the individuals who carry on their work. This session will be a participative conversation. What kinds of talent do you think will realize the best mission-driven outcomes for Canada’s nonprofits? How we can be sure this talent will be available? What needs to happen for nonprofits to be magnets that attract and keep vibrant talent? Let’s explore ideas together. Since its inception, the open data movement has attempted to break through biases by advocating for greater access to raw data. As a result, more and more data is made available on open data portals by governments across Canada. While this development certainly merits celebration for transparency, accountability, and innovation, it begs the question: What next? Now that data is becoming more accessible, who is using it and to what ends? Who has the skills to work with this data and interpret it in meaningful ways? How can we create networks of users that promote collaboration while also creating opportunities for new start-ups? In an open data world, must we all become data literate? Who provides context for these datasets? Focusing on collaboration, this public conversation invites us to consider the future of emerging open data ecosystems and discuss what it takes for them to truly thrive in a sustainable way. This conversation is hosted by Concordia's University of the Streets Café and is open to the public. CKX participants are invited to attend and participate along with other community members. There is no advanced registration required. Seating will be available on a first-come basis. This event is taking place at the Centre for Social Innovation at 215 Spadina Avenue in the "Whole Connector" room. Join us at The 5th Pub House for a casual CKX evening social. Stop by for a drink, a bite to eat, some great conversations, or all of the above. Be sure to be sporting your CKX All-Access Pass when you come because your first drink is on us, thanks to the generosity of our friends at Molson-Coors. One complimentary ticket for a Molson-Coors product will be provided at the door. You'll need your CKX All-Access Pass to claim your drink ticket. Please remember to enjoy beverages responsibly. Youth employment is one of the most important and perplexing challenges currently facing our society. Many of our most innovative governments, nonprofits, private corporations and employers are working on this problem. But these organizations may not be working together optimally within the system. This is our opportunity to create a systems picture of the complexity underlying the challenge, to map out how trends and drivers, programs and interventions are impacting the employment experience of young people. You will be part of a systems mapping session to build a shared understanding of our youth employment challenge. You will help identify how existing effective interventions can scale faster to bring about systems change together, as well as insights for new interventions. We will use the systems map to identify existing innovations and partnerships that can help scale them. We will identify new interventions, and potential partnerships to develop them. Your relationships are the key to the success of your work. Wouldn’t you like to know more about how they actually work and develop strategies to maximize their potential? Increasingly, we are required to partner, collaborate and integrate our work across sectors, with little or no understanding of the potential power of networks as a key resource. Network Mapping and Analysis helps you understand the dynamics and complexity of your multi-sectoral collaborations and create strategies for healthy and sustainable change. Using network analysis software, communities and groups can create powerful visual maps to illuminate existing strengths and gaps as well as be a starting point for continuing to build your networks and involve new partners and ideas. I'm happy to chat about network mapping, health promotion, determinants of health, how introverts survive conferences, and technology use generally! In this workshop, Pathways to Education will showcase its new interactive mapping tool - a key component of its approach to program expansion and improvement, partner engagement, and community knowledge. By providing insights into educational attainment rates, poverty trends, and other indicators throughout Canada, the new data visualization tool is helping the organization build a thoughtful and demand-driven expansion strategy and ensure effective program offerings, multi-stakeholder collaboration, and greater issue awareness. Session participants will learn how the mapping tool is helping Pathways to Education understand unique socio-demographic contexts of existing and potential program sites, and how this type of tool can benefit other Canadian nonprofits, foundations, and the general public. This session will also outline the challenges inherent in working with big data and highlight key insights gained from the project. The presenters will share specific examples of how the tool has already helped to spark conversations and raise awareness about the barriers and solutions facing at-risk youth and communities throughout Canada. CKX Thematic Questions How can we turn existing data into knowledge to drive change?, How can we use research to make more informed decisions?, How do we use stories to demonstrate our impact? In this companion workshop to Social Impact Measurement Around the Globe, Emma Tomkinson, a social impact analyst from Sydney, Australia, will facilitate a generative conversation about issues and challenges that people face when measuring the social impact of their projects and programs. What are the challenges? What have people done to overcome them? How could we better work together to make measurement easier and more useful for all of us? Participants should be prepared to share and explore how they’re measuring social impact and open to providing their thoughts, ideas and perspectives on the subject with their peers. Participation in the Social Impact Measurement Around the Globe session is not a pre-requisite for this session. There’s been a lot of buzz lately about open data and the growing community of hackers, community organizations, citizens and governments who are playing in this relatively new sandbox. But what is open data exactly? What are the challenges and opportunities presented by the proliferation of open data? What does the future hold for the open data community in Canada? In this interactive workshop, Jean-Noé Landry from Open North and Harvey Low from Wellbeing Toronto will explore these questions and more through a series of discussions and small-group exercises that will bring the power of open data and its potential to help drive change in our communities to light. What’s worked? Where are the gaps? Where have we failed? It’s all up for discussion as we contemplate the open data future. Doing good work is critical but it is not enough. We also need to demonstrate our impact and ideally find ways of working together to collectively measure the difference we are making on addressing our complex social challenges. This interactive session will explore the opportunities and challenges of measuring our collective impact through presentations and discussions with three of Canada’s leading grant makers. Facilitated by Allyson Hewitt, Senior Fellow, Social Innovation at MaRS, these foundation leaders want to work with you to determine how we can ultimately enhance our collective outcomes. Over to you. We look forward to the conversation. This action-oriented session will bring together players from all sectors with an interest in the Youth Employment space who are willing to make tangible commitments and contributions to advancing and continuing the work beyond the CKX Summit. We’ll share and map out our understanding of the youth employment challenge area, building on existing knowledge and what we’ve learned in CKX Solutions Lab sessions over the past two days. We’ll also identify both existing and new opportunities to intervene, and begin forming the partnerships required. The purpose of the Catalytic Conversations is to spark learning and connections through focussed conversation. Each Catalytic Conversation will focus around one of the four CKX thematic questions. CKX Thematic Question: How do we know we're making a difference, together? Conversation Topic: Proving exceptional impact together. The purpose of this session is to explore how we can build on each other’s work, rather than reinventing the wheel when it comes to impact measurement. The session will kick-off a conversation aimed at exploring a shared vision of the future as we pursue ways to work collaboratively to measure and demonstrate our impact. CKX Thematic Questions How do we know we're making a difference together? CKX Thematic Question: How can turn data into knowledge to drive change? The purpose of this session is to deeply explore the underlying conditions required to convert data and information into true knowledge that leads to change. CKX Thematic Question: How can we use research to make more informed decisions? Conversation Topic: Making stellar research-based decisions. The purpose of this discussion is to come to a better understanding of how to make stellar research based decisions, and harvest tangible ideas for what could be done in the future to increase the quality of research-based decision making. CKX Thematic Question: How can we use stories to demonstrate our impact? Keeping real experience (stories) at the heart of impact. The purpose of this session is to explore how to keep the connection between data and information, and the real human experience (the story) of the people and communities that we serve. Be among the first to hear the breakthrough concept from best selling author, strategist and disruptive thinker Don Tapscott (@dtapscott) on how institutions, companies and governments can unlock data, knowledge and ideas to create truly vibrant and open communities and cities. The author or co-author of 15 books including Radical Openness, Macrowikinomics and Grown Up Digital, Tapscott will explain how the Open City is not just a vision, it's also within our reach. An artisanal boxed lunch will be provided for this session. If you informed us of dietary restrictions when you registered, your Bento box will be clearly identified. Please help us keep the venue clean by carrying out your box and all personal items after the end of the session. Join Don Tapscott, CKX partners and participants on the third floor of the TIFF Bell Lightbox for the CKX Closer, a casual networking social hosted by the Ontario Trillium Foundation. Cinema-style snacks will be served, along with beverages from the Molson67 Bar in the Bell Blue Room.